An elegant living experience at faraway home. 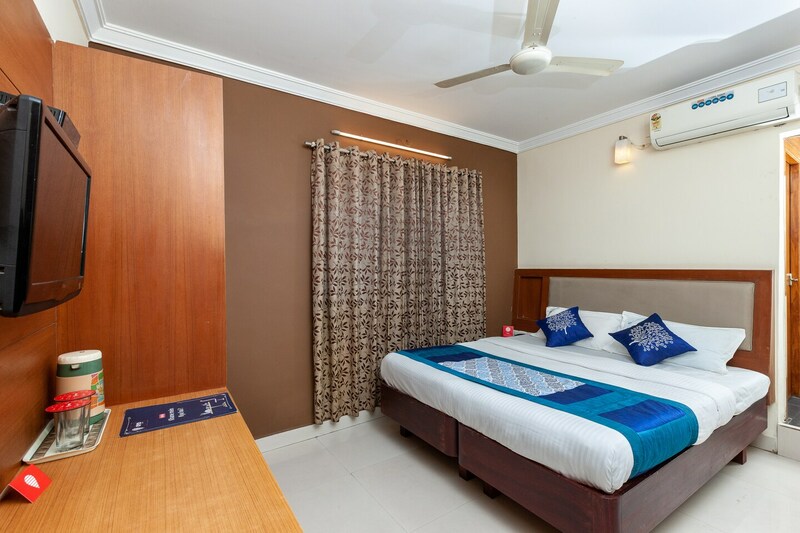 Palm Shore Residency is a stylish place with elegant decor offering a comfortable and a relaxed stay for travellers visiting Chennai. The hotel is a pleasure to stay at with minimal furnishing giving it a modern and a classy vibe. The cushioned headboards add to the comfort of the guests and the bright cushions make the space lively. The curtains complement the overall charm of the place and adds a touch of elegance. The hotel is equipped with all essential amenities like card payment option, free wifi, parking space and an elevator. The guests can also organize events at the banquet hall available at the property.